This three-tier necklace is perfect for making a style statement. Graduated-size ringed potato pearls, ranging from 7-11 mm, are strung in an ombré fashion along each of the three strands for a unique transitional effect, finished with a sterling silver clasp. 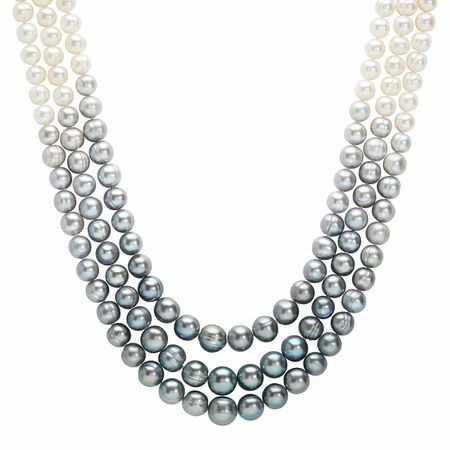 Piece measures 18 inches in length and features a pearl clasp.